No log in required. 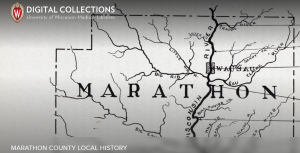 An online archive of the rich local history of the towns, villages, and cities in Marathon County, including centennial histories written by local residents, with many illustrations documenting family life and economic development in central Wisconsin. No log in required. The Crandon Public Library’s Local History Collection consists of the local history materials and and genealogy resources of the Crandon Public Library, as well as the City of Crandon’s archives. Look-ups from these collections are available. Please contact us at 715.478.3784 and/or email us at info@crandonpl.org with your request. Marathon County Public Library Written by Loius Marchetti and published in 1913. E.U. Demmer Public Library, Three Lakes Wisconsin Log in: witlgs Password: U7asMP4z Visit the Three Lakes Genealogical Society website for additional information. 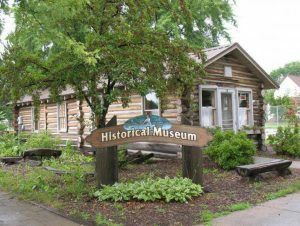 The Historical Society was founded in 1978 with a mission to collect, preserve, and share the resources of the Merrill area community ~ to know the past ~ to relish today ~ and to plan for the future. No log in required. View a collection of historical documents, biographies, yearbooks, genealogy and more. Every community has its own unique and interesting history, and Tomahawk, Wisconsin is no exception. Wm. H. Bradley chose this area to realize his dream of building a city. In 1886 he began the process of carving a city out of wilderness and almost overnight, Tomahawk was born. People arrived; logging camps, sawmills and a dam were built; homes, stores and other businesses followed, as well as a school and hospital. And the railroad extended to the city. Though the logging boom eventually died down, the community continued to thrive. The community pride and spirit demonstrated by the early settlers still prevails. No log in required. Brings together, in digital form, two categories of primary and secondary materials: writings about the State of Wisconsin and unique or valuable materials that relate to its history and ongoing development. Visit the Withee Public Library YouTube channel to view local oral history interviews.